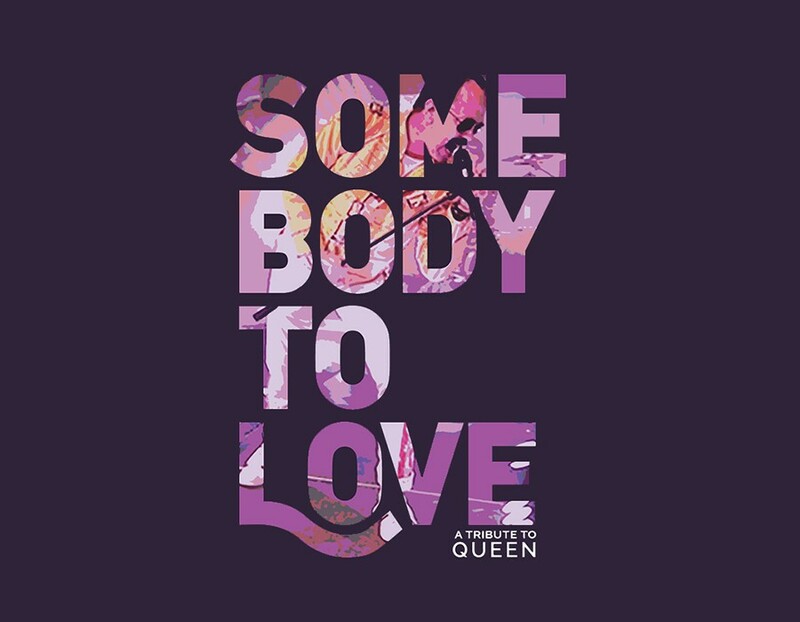 Somebody To Love is dedicated to the live performance of one of the most incomparable rock bands of all time, Queen. Jason Nelson is singing lead with Somebody To Love. This Queen Tribute was a musical project that Jason was formulating for over a year and half before the bands first show. Providing the bass skills for Somebody To Love; A Tribute to Queen is Jake Nelson, he ultimately channels John Deacon of Queen. His attention to detail and sensible clothing style choices make him the most logical choice for the coolest member of the band. And on drums!! Mr. Brian Sullivan. On the guitar, Kevin Lemen is right at home with the guitar stylings of Brian May. He stays true to the spirit of Queen and manages to lift the spirits of everyone around him through his music and positive attitude. Joe Ruffino molds the rhythm guitar lines around Kevin’s leads and solos and adds the quintessential sound of what has become the “Queen” guitar sound. A master of his craft, all guitar aficionados take notice! On piano and keyboard, Somebody To Love is very proud to have John Covelli in the ranks. The chorus of Somebody To Love is a sight to behold with Jessica Butler as a member. Somebody To Love is very proud to be working with a St. Louis music legend, Mr. Ralph Butler. As a chorus member Ralph brings versatility and wisdom to the timeless vocal tracks of Queen. Darren McClelland steps up the chorus with his phenomenal baritone singing. Always pushing the choral sound to higher levels, Show your love for Shelby “Q” Carter Jr. He has a voice like butter and his trumpet playing skills are second to none. Latonia Holland has been “Somebody To Love” for many years now. With an incredible musical resume of tribute/cover bands and original music projects, she is a force to behold. Timery Rogers is prolific when it comes to realizing Freddie Mercury’s soprano, upper register vocal harmonies. She is adaptable in any situation which makes her invaluable to the chorus and a blast to perform with. Candace Wilbert joins Somebody To Love on the heels of her wildly popular band Mathias and the Pirates. Bringing an enthusiasm and positive energy to the chorus Candace is a super star in her own right, as a member of Somebody To Love she pushes the band to new heights.